Running Low on Battery life? 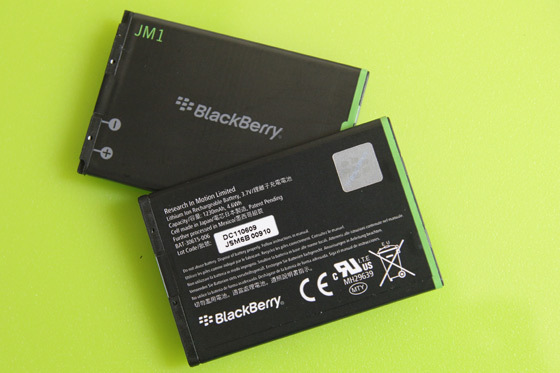 Buy a spare battery for you Bold 9900/9930 from ShopCrackBerry.com! Low on battery life? ShopCrackBerry is #1 for BlackBerry Bold accessories! I actually had all of this written up as part of the Hardware Analysis > Battery section of our upcoming full review of the BlackBerry Bold 9900, but decided it would serve better as a standalone post (the full review is long enough as it is) so I can just post the summary within the review and link back to it here for those who want the full details. I've been charting my Bold 9900 device usage and battery life for five days, as have our own Adam Zeis, Bla1ze and even Miss CrackBerry, and the conclusion on our end so far is that the battery life overall is pretty solid and on par with expectation RIM relayed to us of getting a full day of use out of the battery. Between the four of us we had a pretty good spread of usage cases, from Miss CB being a fairly light user (a lot of messaging, some phone calls, and some web browsing) to crazy 'ole Bla1ze being on his BlackBerry more than any normal person should, doing just about everything he can think of. Looking at our numbers based on going 18 hours between charges, things are looking pretty OK here. Average users shouldn't have to worry much about battery life, if at all, while heavier users might may find themselves wandering into the low battery zone a little more often than would be the case on say the Bold 9700/9780, which sports a 1500mAh battery as compared to the 1230mAh battery in the Bold 9900. Keep in mind there are a ton of things you can do on a BlackBerry to affect battery life, and our numbers/averages above are based on a pretty small sample size and just two networks (3 of us on Rogers, 1 on AT&T). Throughout the days of paying careful attention to our battery levels, and in talking to other Bold 9900 owners and hearing what they're experiencing, we've made some other observations that we're going to pay attention to over the weeks ahead. For one, we're finding battery life *appears* to last noticeably longer when connected to a WiFi network (more so than we've ever noticed in the past with other devices). Also, we've had a few reports of poor 9900 battery life come in, and in these cases it seems the users were in lower coverage areas (at the cottage) or on the move with frequent tower changes happening on the network (driving on highway in rural areas). What makes these cases interesting to us is that they're coming from people who previously used the Bold 9780 in the exact same places/route without that sort of issue. It could be there's still some software tweaking to do here to get things 100% perfect. Again, it's early days still, but for the most part things are looking like a thumbs up on the BlackBerry Bold 9900's battery life, which is a topic people want to know more about. So, if you've bought a Bold 9900 and been using it, let us know how you're finding the battery life so far in the comments!